1. The battle over location and its convergence with augmented reality: These phenomena could be put in separate buckets but both trends are trying to bring more contextual informatio n to individuals, especially when it comes to location. We poor humans are quite bound by our 5 senses and all these new developments aim at giving us more context, and better information. Location matters when I need advice. Brightkite (whoo-oo Colorado/Techstars) was definitely the early riser in location based tweets and seems to have forgotten about the social-ego centricity of many social apps. Foursquare which certainly was earlier to market, is clearly overshadowing Gowalla despite the industry trying to hype the location-war. These apps might be catering to much ego based activity, but I feel we’re just scratching the surface of what’s to come. Location based apps will tip in the next 12 months…just be prepared. On the augmented reality side, some quite impressive tech is starting to appear, like the GM windshield and others like Webcam Social Shopper, and the Cannonballz Augmented Reality Game – reality apps are now crossing into our daily lives and provide more information to users. The future, the opportunity: Make the computer work to finally bring users a 6th sense. Make ‘check-ins’ become experiential check-ins, not just location. Augmented reality may feel like a lack of privacy but on-grid people see it as providing more value to their lives. 2. The ever becoming dream of crowdsourcing: @Jeffrey and @scottbelsky led an interesting panel on the subject. In June 2006, Jeff Howe coined the term “crowdsourcing” to express how a task performed by an employee could be performed by a large group outside. Back in ’07 at The Enthusiast Group, we launched “Grassroots Channels” for sports events which was a form of crowd based journalism, giving free entries to event participants was such a powerful way to activate the ‘citizen journalist’. The tools at the time were quite rudimentary (i.e. blogging) but we were getting good traction. Today’s tools are a lot more adequate and fill good niches as social computing has gone mainstream. Good examples are GetSatisfaction.com , UserVoice.com or the beta Quora.com (started by an ex-Facebook crew). Base rules for crowdsourcing projects include: Activate crowds around a common purpose, based around an event. It has a beginning and an end. Incentives should be beyond the transaction and foster discussions. Most projects will achieve something larger than the sum of their parts. The future/opportunity: As social tools have gone mainstream, there is a larger opportunity to get the crowd to perform better tasks than machines or dedicated staff. Wikipedia might be its best example. Social Search was also big at SXSW as it provides the hope for better contextual search. Facebook is becoming the largest threat to Google when it comes to Social Graph answers. 3. Globalizing the Social & its challenges: Being French and having lived in the US, NZ & Belgium before that, I was quite excited about this session. The US market is always able to seed and scale up its platforms because of its size. Other countries and especially European ones may have lots of startups and great internet dynamism, but it’s still hard to scale up because of the cultural/language factors. 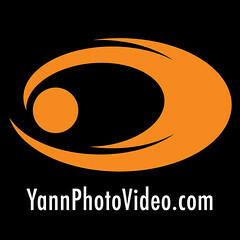 For example, I was struck when I met with an employee of DailyMotion.com (Sebastien Adgnot) who I knew of (the largest video platform from Europe), but which has been eclipsed by YouTube and other US based video platforms. The future, the opportunity: There is to my knowledge, very little that can accommodate intercultural platforms for businesses… as a global business trying to engage with country communities and their constituents (fans etc..), there is nothing available… creating a facebook fan page per country is bound to fail. There is a great opportunity to cater to sub-cultures. 4. Startup mania: #seedacc – Extanz might be the 4th startup I have participated in and certainly the most sustainable one. 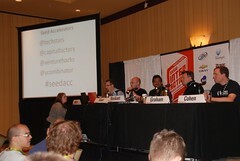 I thoroughly enjoy the #seedacc (Seed Accelerators) which featured CEOs from 4 “Seed Accelerators”. If you have never heard the term, it’s usually a private entity (group of investors) which selects idea-stage ventures and puts them through a high-dose of mentoring, tech-social incubator experience to produce a semi-finished product in just a few months. The successful graduates of these programs usually take the fast lane to venture capital funding. Present in the panel were Techstars, YCombinator, VentureHacks, CapitalFactory with different styles and sharp comments, it was certainly one of the most lively panels I attended. 10 years ago, the barrier to entry was probably around $500k while it may be $50k today. The cost of dreaming and getting started has decreased dramatically: 2 founders on pizza, 2 laptops and access to the cloud + some great connected mentors… is pretty much the requirement for web startups these days. The future/opportunity: The time from dreaming of an app to getting it in your users’ hands has shrunk making innovation cycles even faster. It really feels like Seed Accelerators are a viable model for many communities if the right ingredients are present. 5. 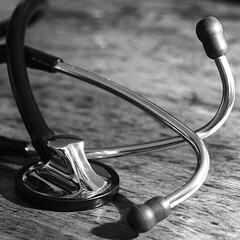 Will social finally pierce the healthcare walled gardens? (#er20 – Emergency Room 2.0). This is SO important. What is more important than health, I wonder. I SO believe that healthcare like education, should be a human right. I can’t believe politics can even get involved. The er20 session was fascinating; that session alone was worth spending a whole day on it. Around the jammed room were people from all disciplines (from physicians to PR people…). We were all trying to address how social media can help deliver better health. My impression still was that too much conversation went around how to get hospitals engaged in using modern tools for marketing-conversations. The session truly tried to address how to improve patient health using the new forms of communication but privacy and liability seem to keep everyone talking first about how to get medical environments at least engaged using these platforms. 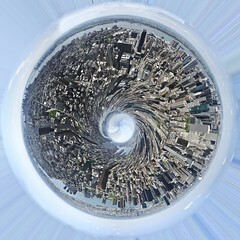 The future/opportunity: We all know that healthcare is cluttered and driven by interests secondary to patient health. Internet users are far from inactive and many examples like OrganizedWisdom.com, PatientsLikeMe.com or earlier WebMD.com are trying to increase patient-centered care… Healthcare might be slower but the opportunity is certainly many fold greater. 6. Zero Waste, the immediate challenge: #zerowaste session: Innovation, global warming, and green technology are all pushing in the same direction: zero waste. This session was very inspiring with leaders from SolDesignLab and Re-Char. 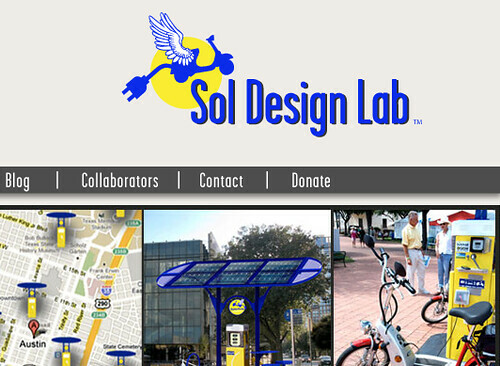 SolDesignLab is installing solar stations across town for people to charge bikes & electric vehicles. Re-Char’s model is to take agricultural waste, burn it and re-inject into the ground that can increase yield by 200% for crops. Small scale distribution works best to reduce collective energy spending. The future/opportunity: There is a great opportunity for an online platform to collect information on sustainable practices put in place by local communities. No comprehensive platform exists today. There should be a way to simply get people and communities to compete online about their macro-level zero waste improvement… with social media based input. 7. The parties: I don’t think I have been to so many parties in 10 years or ever ,in such a short period of time and glad I went and then stopped :). I still have to applaud how well organized most of them were. 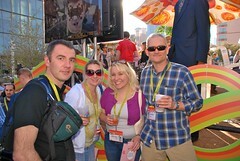 The opening Frog party was probably a highlight; techno-geek ambiance with tons of interactive things to do — a blast…. adding DJ Music would have made it complete. The parties were the cherry on the cake, it’s so much easier to discover interesting folks at parties and learn from them. There is probably much more to be said and next year I’ll certainly be better prepared to handle the density and meet as many people as possible. I look forward to read your impressions! !